You are currently browsing the The Pet Product Guru blog archives for the day Wednesday, February 20th, 2013. What are “hot spots” on dogs? Your veterinarian may refer to “hot spots” on your dog but what are they? A hot spot is an irritating skin condition that affects many dogs each year. This condition involves an area of the skin which has become inflamed and infected. It’s a moist, red area that frequently oozes fluid. 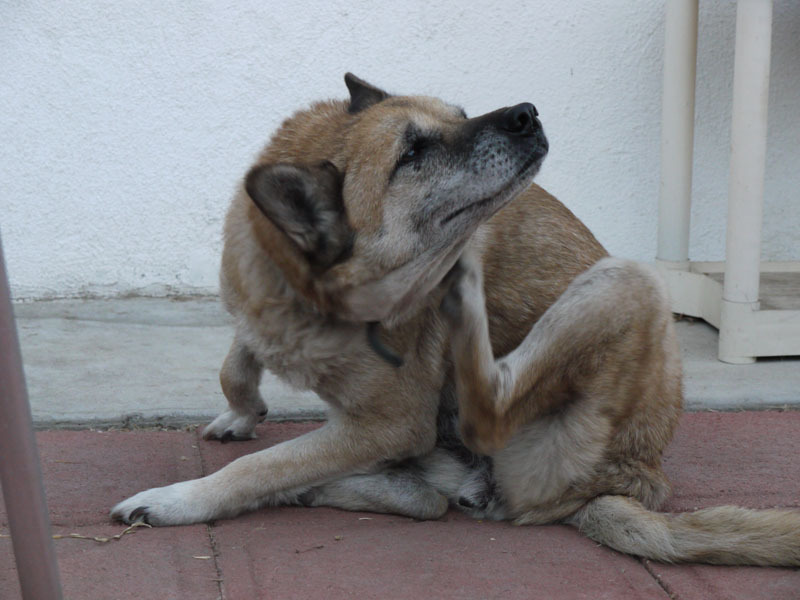 It is very itchy and painful to your dog which causes him to scratch and lick the area. You may also notice hair loss in this area. The conditions worsens as the dog continues to lick and scratch. Hot spots are caused by anything that makes the skin itchy. It could also be caused by allergies. Some additional triggers are food allergies, fleas, mites, insect bites and skin wounds. A bacterial infection develops that could also be a staph infection. So how is this condition cured? Usually your vet will clean the wound and prescribe a topical medication. Topical treatments will kill the bacteria and ease the pain. Oral antibiotics are usually prescribed for a course of 3-4 weeks and sometimes longer. Prednisone may be prescribed to relieve the itching and reduce the inflammation. If you see that your dog is scratching and notice that the skin is irritated and sore, take your dog to the vet before it gets worse. Listen to our internet radio network for a variety of music that you won’t find on regular radio.